The release notes for the 10.14.4 update are quite long, as you can see from the relative size of the scroll. That’s good — there’s a lot new in this update and the release notes should mention everything new or different. But the sheet containing the release notes can’t be resized. You see about 9 lines of text at a time, and there’s nothing you can do about it. 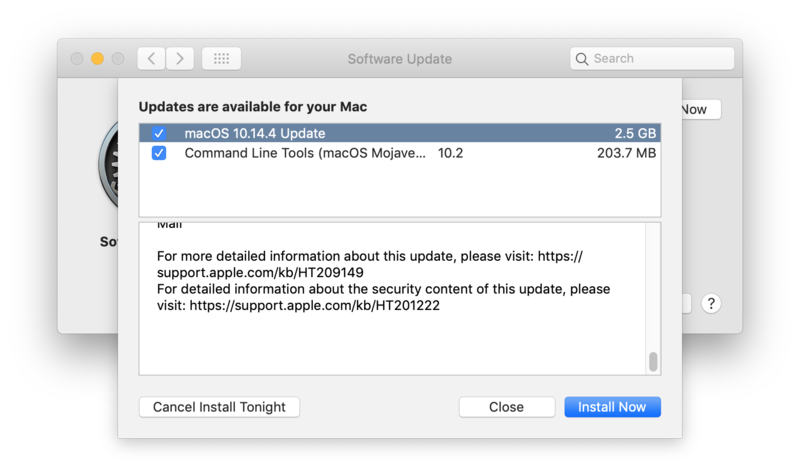 It was a good idea to move system software updates out of the App Store app and (back1) into a System Prefs panel. 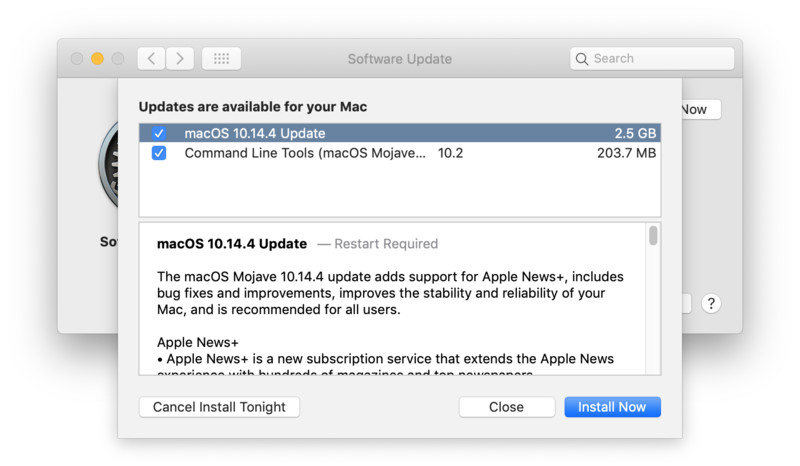 System software updates aren’t from the App Store, and System Prefs is — duh — the correct place to manage the system. But everything about the presentation of release notes in this sheet is obviously bad. 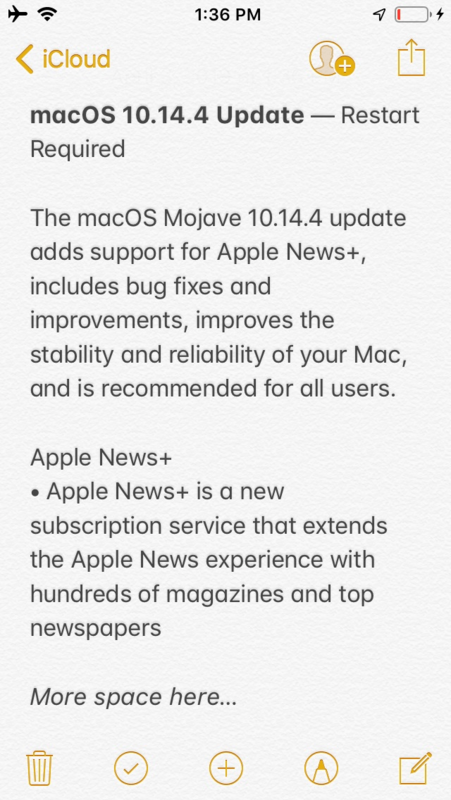 Macs have displays ranging from large to giant, but these release notes are displayed in a fixed-size pane that shows less text than an iPhone SE. Seriously. The rigidity and clear lack of thoughtfulness makes it feel like a dialog box from some other operating system, like an old version of Windows. If this sheet were part of a student’s assignment in an intro to Mac programming class, a good teacher would send it back and explain how to make a sheet resizable, how to make text selectable (and thus copy-able), and how to make URLs clickable.